As I’ve mentioned, oysters aren’t for everyone. But, they are for me, and for my friend Kristen, who accompanied me to my first Oyster Riot at Old Ebbitt Grill on a Friday night in late November. We walked into the courtyard behind Old Ebbitt Grill, where we were greeted with a wristband, mermaids, a lanyard for our wine glass (so we could be hands-free), and a plate (with a wine glass holder). We liked where this was going. The scene was a combo of the biggest raw bar you’ve ever been to, mixed with a 90s prom, featuring Elvis, women in black mermaid costumes, and Cirque du Soleil-type acts. The crowd was a mix of people that just got off work, to women donning Rent the Runway gowns. Having changed in a cab on my way over, I fell somewhere in between. We jumped right into it, grabbed a couple oysters off the first raw bar we saw, and sampled a Chardonnay, which also, surprisingly, happened to be our favorite wine of the night. 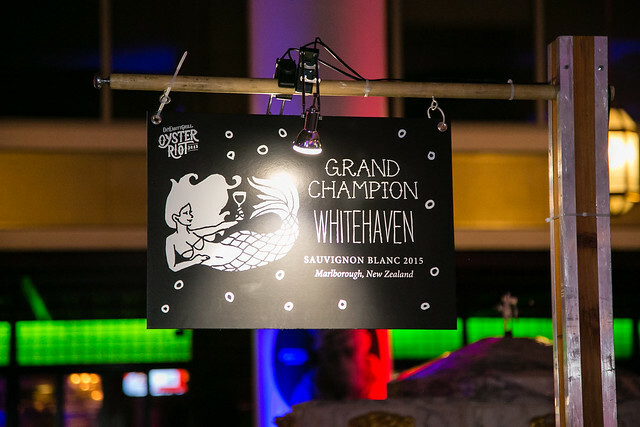 I loved how the stations alternated between oysters and wine. Although it was a balancing act weaving your way through crowds with slippery oysters on your plate, we never waited at any of the stations. 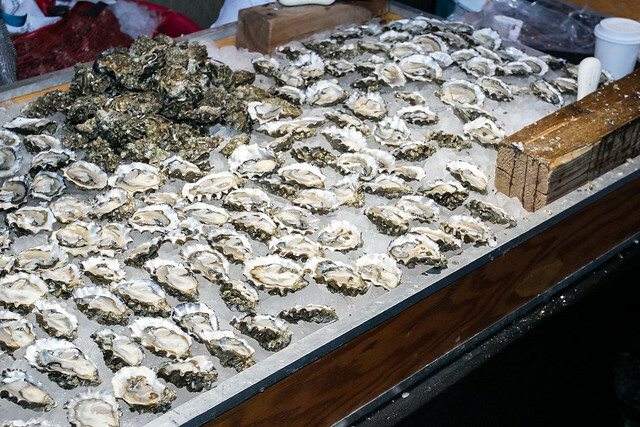 I can honestly say these were some of the freshest and largest oysters I’ve ever sampled. At one point, we literally bumped into a waiter serving passed hors d’oeuvres, so we tried a fried oyster served on a potato chip. It was perfectly salty and crunchy. Because the only thing better than oysters is fried oysters. Sadly, we wanted more, but that was the first and last encounter we had with hors d’oeuvres all night. Just past the Shrimp Shack, one of the only non-oyster options, we found a secret hall that was less packed than the main area. The hall led us to a treasure that was the Mignonette station, which served oysters in various combinations of a light vinegar and shallot based sauce, such as sour apple, sweet onion ponzu, and jalapeno. The sweet onion ponzu was our favorite, probably because it married sweet and bitter in a way that the other varietals lacked. 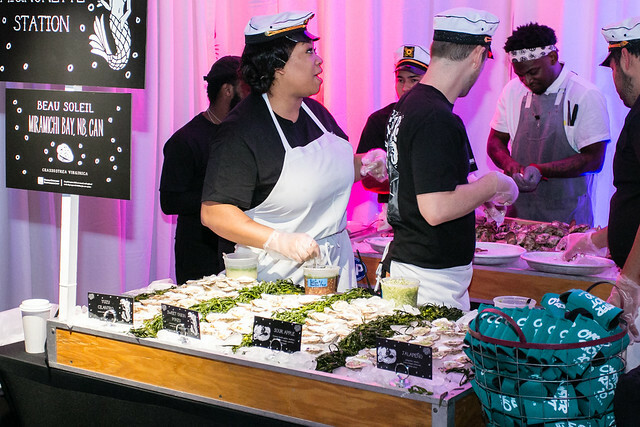 We highly recommend marking your calendars for next year’s Oyster Riot. Be sure to sign up for the e-mail when tickets go live as they sell out almost immediately.